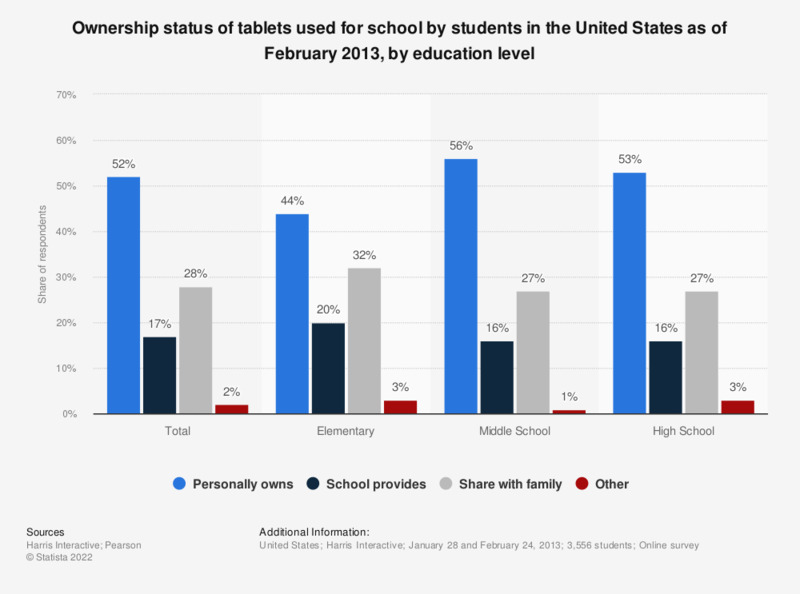 This statistic presents information on ownership of tablet devices used for school work by US students as of February 2013, by education level. During the survey period, it was found that 32 percent of US elementary school students used a family-owned tablet for their school work. Original question: "Is the full-size or small tablet that you use most often for school work one that you personally own or one that your school provides to you?"